Vinylux weekly Polishes are professional polishes that are 7 day chip resistant. They have released the Craft Culture Collection which is inspired by artisanal design and is a timeless collection. Shade: A deep wine red. Use with CND Vinylux Weekly Lasting Top Coat. Week-long shine and no chips. Exposure to natural light hardens and prolongs the wear of the polish. CND (Creative Nail Design) started in 1979 and are a globally leading professional nail brand that are deeply committed to researching and innovating new products. They also take great care in customer service and education. They are also industry leading advocates for the role that nail care takes in fashion and beauty. Their mission is for'ÊCND'Êto be valued globally by the Beauty Professionals and their clients as the resource for nail products and services. Showing 2 of our total 8 reviews, with an average rating of 5 stars. 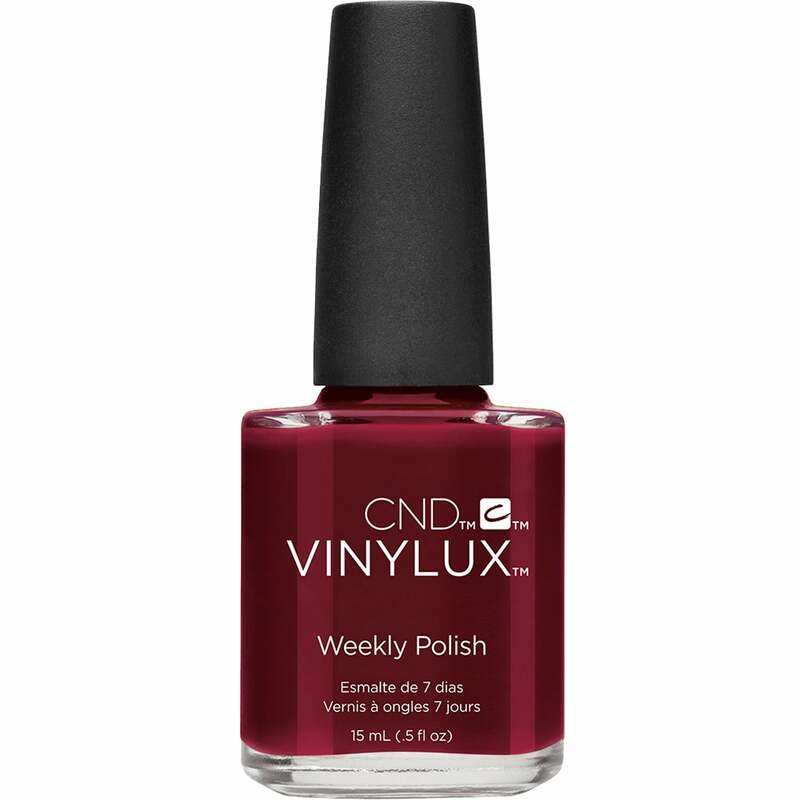 Read all 8 reviews for CND vinylux Craft Culture Weekly Nail Polish 2016 Colour Collection - Oxblood (222) 15ML. Love this product. Delivered on time, carefully packaged, goes on easily and a striking colour.